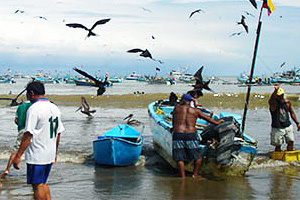 In addition to the famed Galapagos Islands, Ecuador boasts a variety of interesting opportunities to explore the Pacific coast - from the tallest mangroves in the world and the remote Cabo San Francisco in the province of Esmeraldas to the beaches and fishing villages of the "Ruta del Sol" further south with dry forests of the Parque Nacional Machalila and its archeological remains of past cultures. And in the province of Santa Elena in the south there is the seaside town of Salinas with its great sea-food restaurants and sea-sport activities. 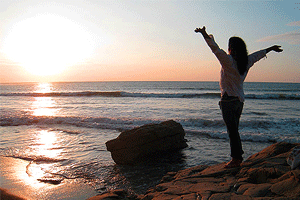 Click on the options below to explore the Pacific coast of Ecuador. Packages to Explore the Pacific Coast! 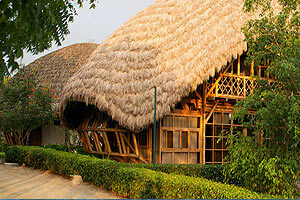 These packages offer the ideal way to combine activities for the perfect trip along the Pacific coast of Ecuador . . . If you are looking for a hostel, hotel, lodge or luxury accommodation on the coast, check out our suggestions . . . Check out the options throughout the year for exploring the Pacific coast of Ecuador, from whales to mangroves to archeology and more . . .